The best of 2 worlds, Single Family Homes that are Maintenance Free behind the gates of the resort community of The Longboat Key Club Harbourside location. The community consists of 102 homes including Bayfront, golf course, lake & garden property sites with a community pool at its entrance. 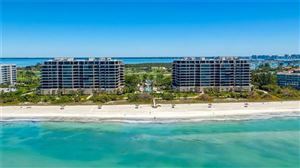 The neighborhood location is convenient to the Longboat Key Club tennis & golf pro shops, the yacht marina, club 3 restaurants, and the shopping plaza. You also find yourself a short drive to world class shopping on St Armands Circle and the cultural amenities of downtown Sarasota. 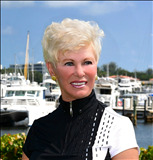 As a homeowner, you are receive membership to the coveted Bay Isles Beach Club located directly on the Gulf of Mexico. The information contained herein has been provided by MFRMLS. IDX information is provided exclusively for consumers' personal, non-commercial use, that it may not be used for any purpose other than to identify prospective properties consumers may be interested in purchasing, and that the data is deemed reliable but is not guaranteed accurate by the MLS. Listings last updated Apr 25, 2019 1:25:pm.